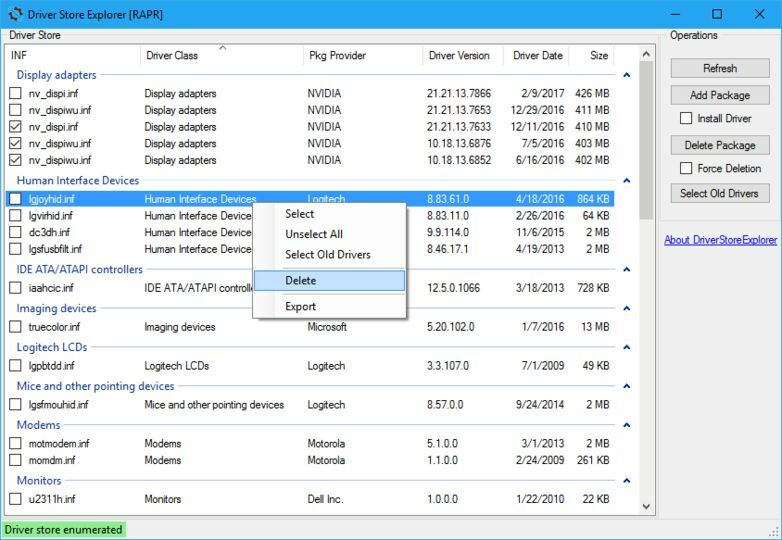 DriverStore Explorer lets you view and manipulate the Driver Store in Windows. Enumerate / List all the packages staged in the current driver store. Export the list as CSV. Install & Add a driver package to the store. Delete a package from the store. Force deletion supported. Full fledged GUI Supports grouping / sorting on any column. Supports re-arranging of / Selecting specific columns.